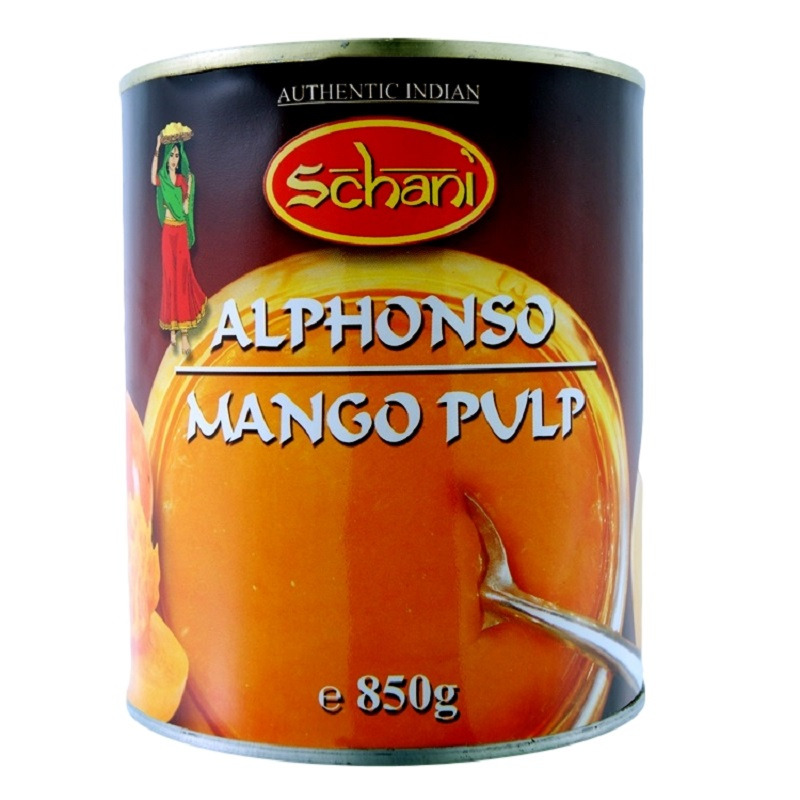 Schani’s Alphonso Mango Pulp is an authentic Indian mango pulp made from fresh, top-quality Alphonso mangoes. 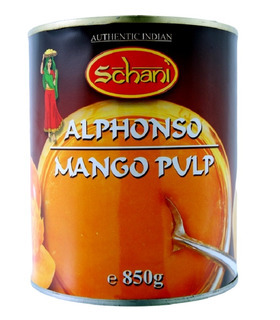 It is a thick and creamy paste that has a delicious orange colour and the mouth-watering fragrance of real mangoes! 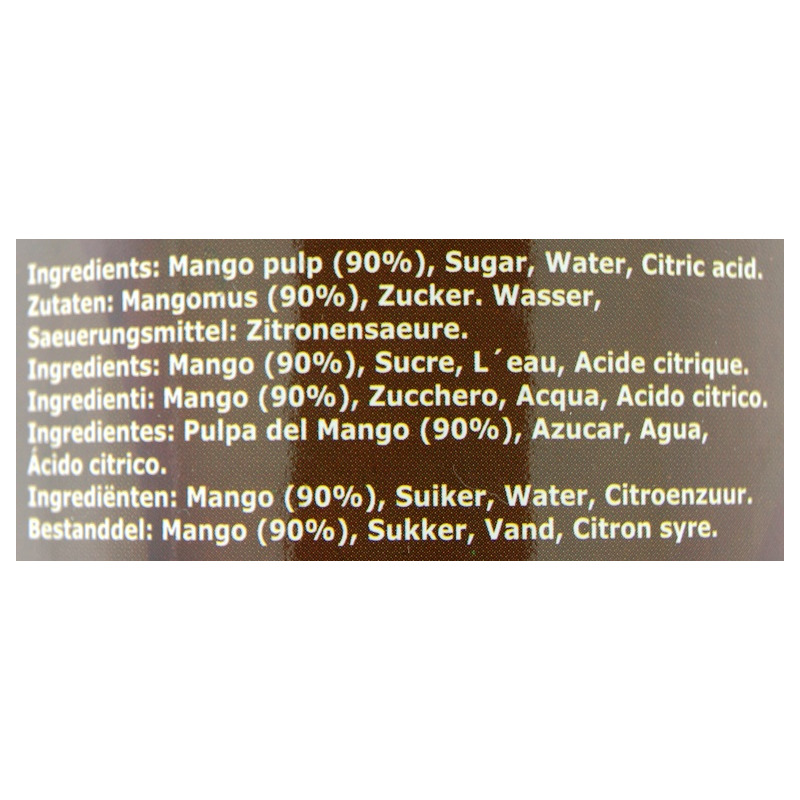 It can be used to make tasty mango lassi, mango shake, aam ras or mango cheesecake! 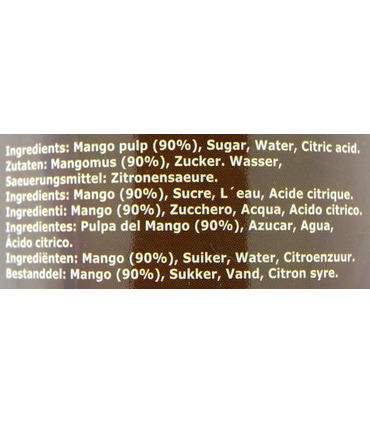 Mango (92%), added Sugar (5%), Water and Citric Acid.